California Gov. 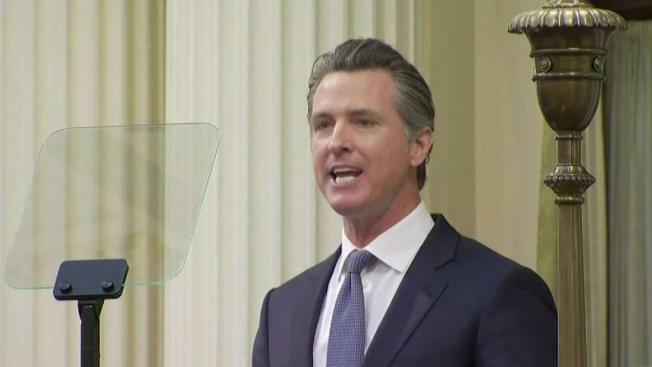 Gavin Newsom declared Tuesday there "isn't a path" for completing the state's plan for a high-speed rail line between San Francisco and Los Angeles, yet his office insisted he is fully committed to building such a project. Sam Brock reports. California Gov. Gavin Newsom declared Tuesday there "isn't a path" for completing the state's plan for a high-speed rail line between San Francisco and Los Angeles, yet his office insisted he is fully committed to building such a project. "Let's be real," Newsom said. "The project, as currently planned, would cost too much and take too long ... Right now, there simply isn't a path to get from Sacramento to San Diego, let alone from San Francisco to L.A. I wish there were."